This entry was posted in weblog and tagged CLOVER, Radio on 16/05/2015 by miya. PDF lyric sheet download here! Watch out! Watch out! A new album is released now. 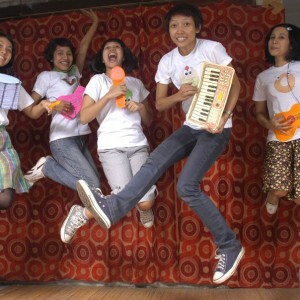 Flipper’s guitar, Hideki Kaji, Kahimi karie…Also indonesia’s indiepop bands is influenced a lot by them.And this band, CLOVER is the cutest one in all over the Asia.Cool, hot album by indonesian girls pop band is released from soundandlife now. This entry was posted in gallery, weblog and tagged CLOVER, Release on 14/03/2013 by miya. 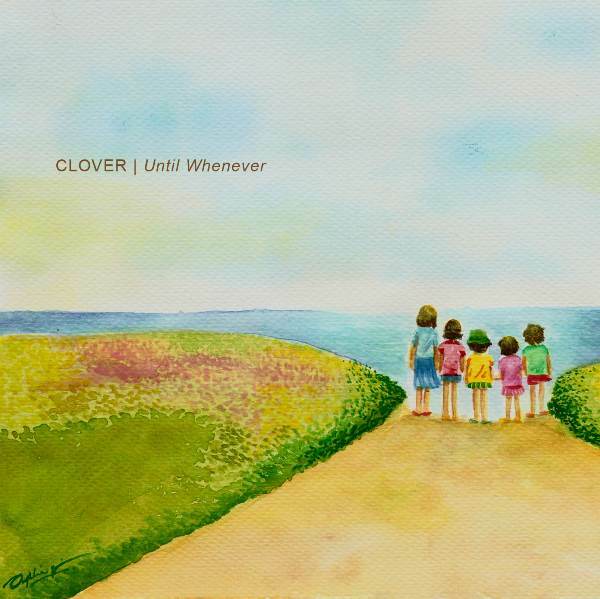 We’re gonna deal the CLOVER’s album “until whenever” from my label on line, that has already been released a few years ago by CD in Indonesia.The album will be ready on iTunes 14th of March.And we have some plan to enjoy the album more with my fellows. I first met and listen them “Tania in a car” in Merci Magazine #001 that was published by abcdefg*record.Wonderful sound, quality, JUMP!But I couldn’t get the album soon because no Japanese stores deal it.We can find it just now…but.Mr.Nomura of abc… has good foresight. When I went to Indonesia and meet them, Tania and Tia, last October, I felt to found that they has the same attitude for music just as hi-channel! and me and my closer circle of friend.They’re struggling with their work, music, taking advantage for each things.That’s why I wanted to make friend with them through music activities. “soundandlife.” is nearly non profit small label. (I wanna get more profit! )We hope to have a drink with my musician fellows by the earnings someday.Also we wanna have a gig in Indonesia someday!Hey CLOVER, I’ll treat you all to Nasi Goreng and Bintang beer! This entry was posted in weblog and tagged CLOVER on 26/02/2013 by miya. I was staying at Jakarta Indonesia for my business tour last week. 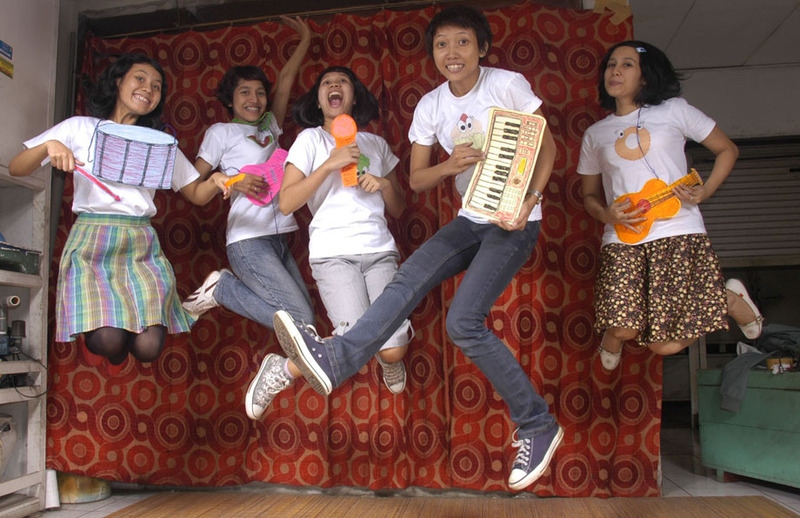 After some factory tour as a company’s manager director,I planed to see the Indonesian band “Clover” whose remix track “Tania in a car” I made for a few years ago. At the first time,two girls came up to me and smiled,I could just recognize they are Tia san(Vocal) and Tania san(Keys) and I was picked up at the hotel.They are so cute and so great at speaking English…Tia san is Sensei of Science and English.So easy to talk with them.I’m sorry for my bad English. After having lunch,We went to CD shop where so many indypop CD was sold in the shelf.I realized that they just love indypop.I picked up two CD.One is “Hollywood Nobody”,the other one is “Radio Killed the TV star”.This CD is quite smooth and good.Then we were chatting at STARBUCKS in a while,said good bye.We had a lot of things to talk with about music,country,culture,business and so on. 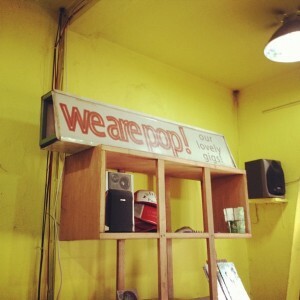 This entry was posted in weblog and tagged CLOVER on 31/10/2012 by miya.